Is It Too Early to Start Planning a Cash Only Christmas? Okay so we celebrated Christmas, but did you find it overwhelming? Did you find that you spent way too much money? Were you short on money again and barely had enough to buy the things you wanted to buy to have a nice Christmas dinner with your family? Or did you simply pay for everything with a credit card and figure that you will just worry about it later? Many people don’t even think about Christmas until October or November. Maybe it is because they live in a colder climate and the first snow fall makes it feel like Christmas. Or perhaps they live in Germany and all the lovely outdoor Christmas markets are popping up. For some people it is okay to wait until November or December to plan Christmas, and it may work out fine, but for those of us on a tight financial budget, waiting until then can quickly raise our stress levels and put us into panic mode. 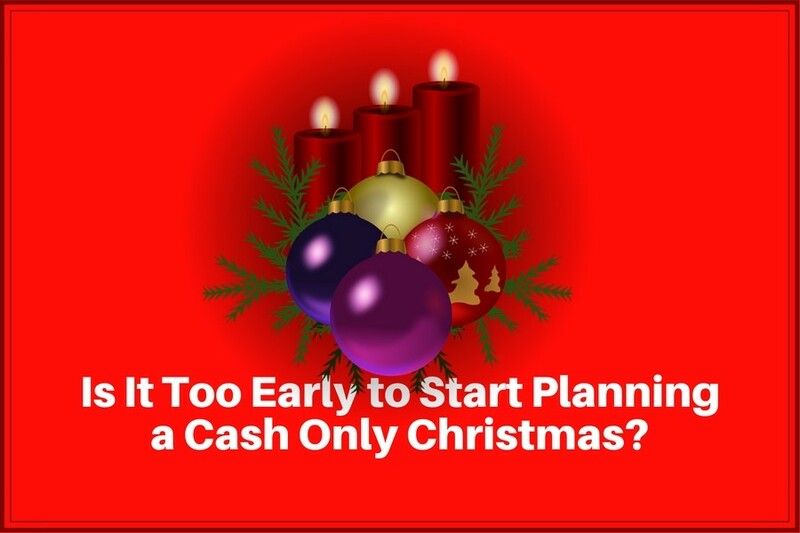 So instead of waiting and then panicking, why not start early and plan to have a cash only Christmas next time? A cash only Christmas is pretty self explanatory and it is an excellent way to save money. Instead of paying for Christmas with credit cards, you only pay with the cash that you have on hand. But where does that cash come from and what can you begin doing today to ensure that you have enough cash to pay for Christmas in December? Figure out how much last Christmas cost you. Grab a calculator and add up your bills from this past Christmas. If you didn’t keep them, try to come up with a good estimate. Once you have your total add 5 – 10% for any miscellaneous items. It is better to over-estimate a bit now then to run out of money in December. You have 11 months until December 1st. Divide the amount you calculated by 11, which will tell you how much money you need to put aside each month. Based on your current household budget how much can you afford to set aside each month for a cash only Christmas? Take a look at your current monthly budget and see if there is extra money that you can begin to allocate towards your Christmas fund. Perhaps you can allocate $50 or $75 a month over the next 11 months. Or maybe you can only allocate $10 a month. Whatever your number is, begin putting that money aside now. Are there ways that you can begin making more money specifically for a cash only Christmas? If the amount of money that you figured out that you will need for Christmas exceeds the amount of money that you are able to put aside every month, then now is a good time to look for quick ways to make some extra money so that you will have what you need come December. Make your Christmas gift list now and buy things as they go on sale. The next step is to start making your gift list now. Include relatives, friends, teachers, whomever you normally buy gifts for. At the same time, keep in mind that you do not need to spend a lot of money to let someone know how much they mean to you. Many people have turned to making homemade Christmas gifts such as fudge, chocolate truffles, cake in a jar, etc. You can dress up each of your homemade gifts with ribbons and bows. Another good reason to make your list now is that you can watch for sales over the next 11 months and pick-up items when you find them for a good price. The same goes for decorations, baking supplies and groceries. Perhaps you have all the decorations you need to decorate your home, but you may need more wrapping paper or scotch tape. While some of these items may not be in the stores right now, as soon as they are, watch for sales. Another good tip, that is often overlooked, is to purchase wrapping paper, bows and cards at the dollar store. Their selection is typically huge, very good quality, and their prices are extremely low. Canadians can check out Dollarama for excellent prices. 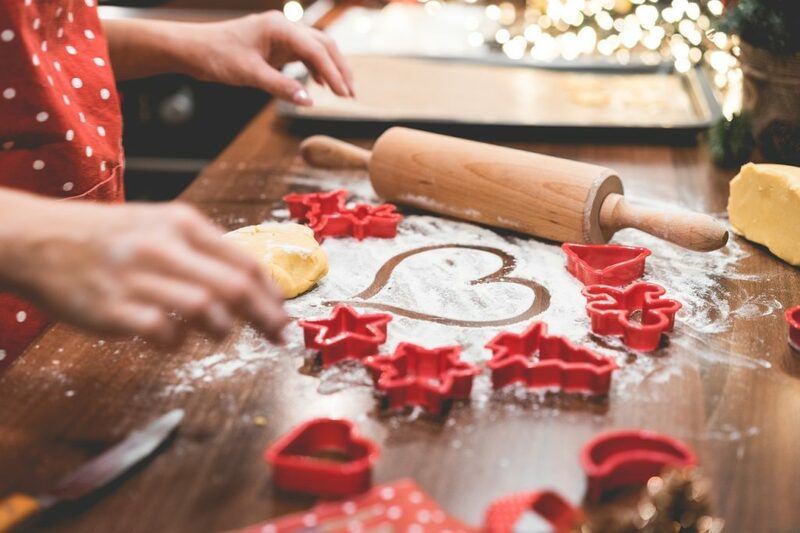 If you enjoy baking Christmas goodies, especially if you do decide to make some gifts, begin looking for specials on flour, sugar and other ingredients in August or September and stock up your pantry. Look for ways to spend less on Christmas. I’ve known many people that have said “If I start shopping too early I just end up spending twice as much”. I did years ago as well. But I find that if you create a good cash only Christmas plan and constantly remind yourself of your plan, you will in fact stick to your plan, and you will only spend what your budget allows. You will be more relaxed during the holidays and you will also feel a sense of relief in January knowing that you won’t be receiving all kinds of bills in the mail.